I don’t get why people like being scared shitless. But they do and it makes for good business because haunted houses have become a $300 million dollar industry in the United States. But the thing is, you can’t just scare people with jumpy actors in hairy costumes anymore. You’ve got to go big, or they go home. 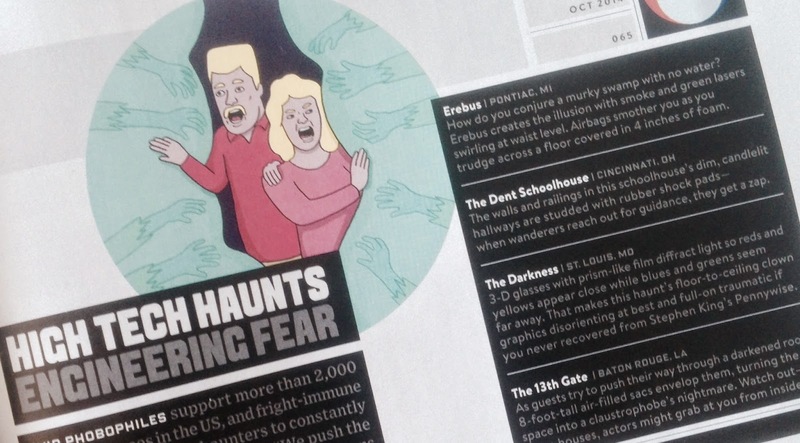 I wrote a story for Wired where I spoke to several haunt owners about the high-tech innovations they’ve invested in to incite bigger screams. Some of it is weird, intense, all of it petrifying (claustrophobic airbags? WTF?). Still, these guys are pretty good at the art of creep.